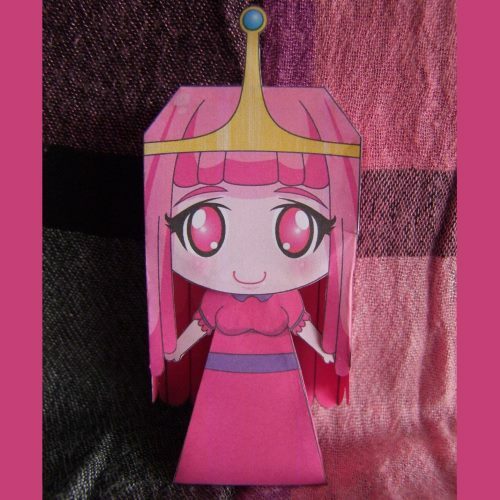 This chibi-style Princess Bubblegum papercraft was created by DeviantART member, ELJOEYDESIGNS. Of all the Adventure Time princesses, PB is Finn the Human's strongest love interest. Having been formed from a mass of mutated bubblegum just after the Mushroom War, Princess Bubblegum is nearly a thousand years old. Doesn't look it, does she? The papercraft template (found here) also includes a tiny Peppermint Butler model. Build photo by NikitaOwO. 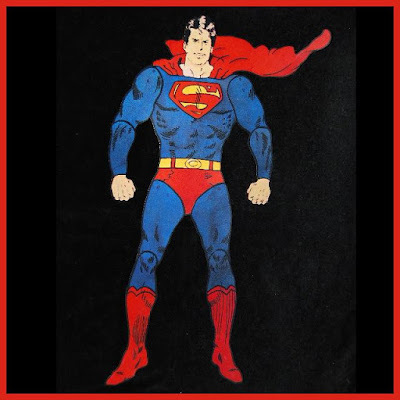 Back when Christopher Reeve was playing Superman in the movies, the Spanish language magazine, Super POP, published this Superman jumping jack toy. You gotta love that old school DC Comics art! A scan of the paper toy may be found here. From 1978 to 1987, Christopher Reeve starred in four consecutive Superman films. 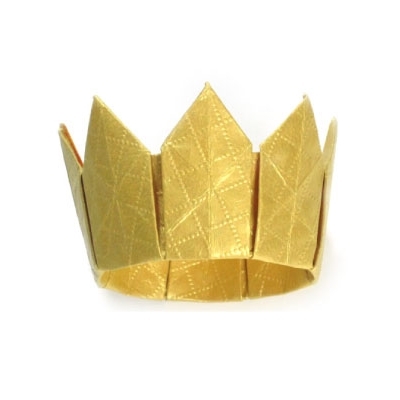 I thought this origami crown was a great idea. It is a simple, glue-less way to make royal headgear for those play times when your child wants to play-act being a prince or princess. The size of the finished crown depends on the size of the square of paper used. A 26" x 26" (67 cm x 67 cm) square of paper produces a crown with a diameter of 7.87" (20 cm). Step by step instructions for folding the crown are located here. 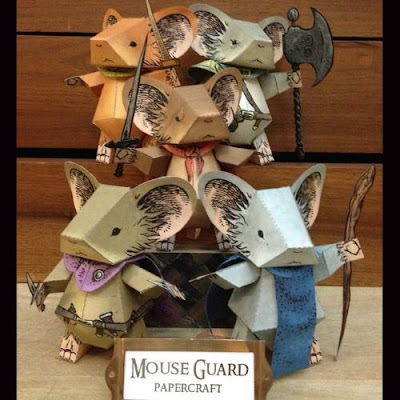 Comic book artist and author David Peterson has added three more characters to his collection of Mouse Guard papercraft! New to the set are are Kenzie, Saxon, and Celanawe (the three rightmost mice in the photo). Previously released were Lieam and Sadie. Free PDF templates for all five mice may be downloaded here. It is a very cool thing when comic book artists produce papercraft of their own characters! Paper Pino has created a papercaft Faberge egg for Easter! The template for the egg uses the same construction technique that Pino makes use of in his papercraft terrestrial and celestial spheres. Thanks for the Easter gift Pino! The template for the egg may be downloaded here. 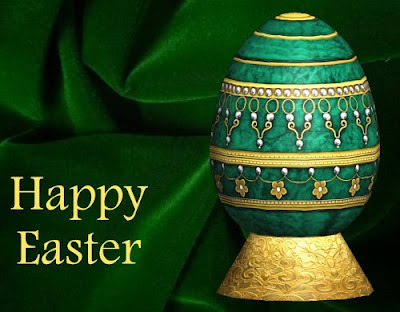 Only 43 of the real Faberge eggs have survived from the early 20th century. After Disney bought Lucasfilm in 2012, there was a lot of jokes about whether Princess Leia would become an official Disney Princess or not. As it turns out, Leia was designated a "Disney Heroine" instead. Be that as it may, those who have built the official papercraft Disney princesses can now add Leia to their collection. 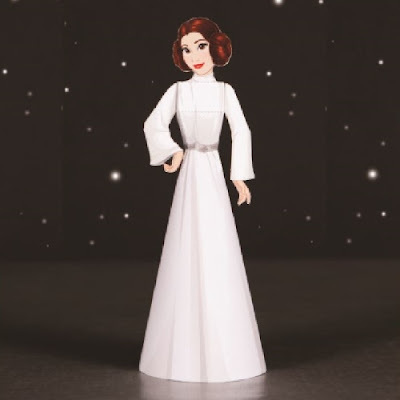 This unofficial papercraft Princess Leia was designed by Kelly Delanty who also created several of the official papercraft princesses for Disney, so the model is pretty much guaranteed to match the official collection. The PDF template for Delanty's model may be downloaded here. 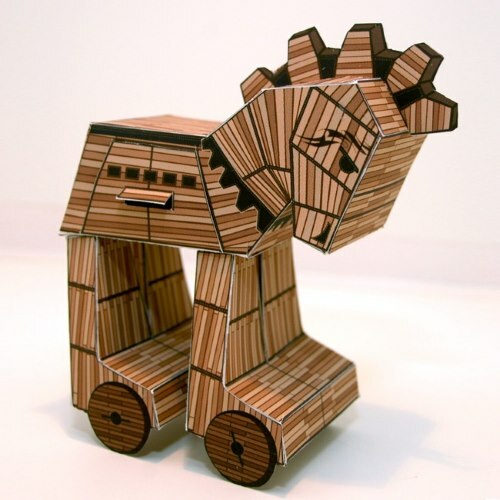 In 2010 this cute Trojan horse paper toy was released as a promotional item to advertise the Nintendo DS video game, Glory of Heracles. The cool thing about the toy is it has an actual secret compartment built into the side. 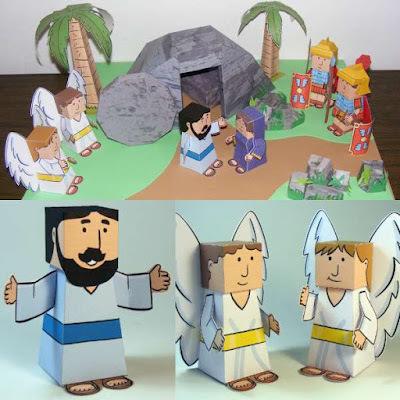 Brian Castleforte, founder of Nice Paper Toys, is the designer of the piece. A PDF template for the horse is still available for download at Nintendo Papercraft. 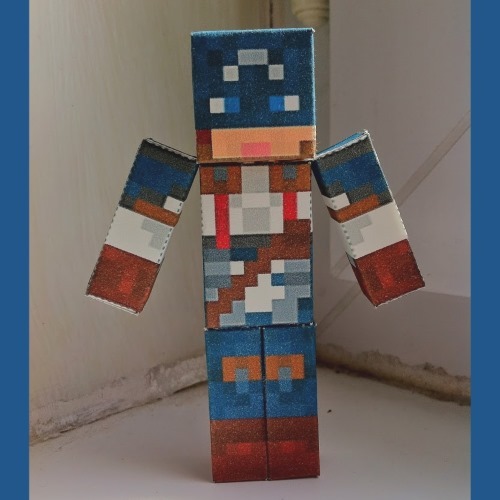 Here's a custom Captain America papercraft done Minecraft style. I think he's kind of cute. ^^ As with most Minecraft papercraft, the boxy shapes are easy to build. The template for Cap may be found here. Build photo by Lucas Duhenois. 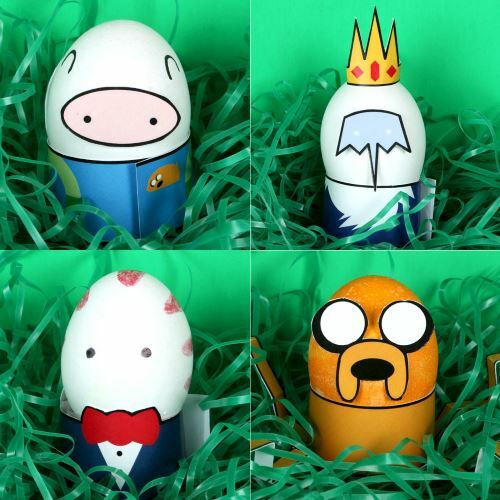 Here's a nifty collection of printable Adventure Time Easter egg holders from Kate Horvat. Pictured are Finn the Human, Ice King, Peppermint Butler and Jake the Dog. There are ten characters in all. Templates for each one may be downloaded here. Faceted papercraft animals seem to be all the rage for home decoration these days. 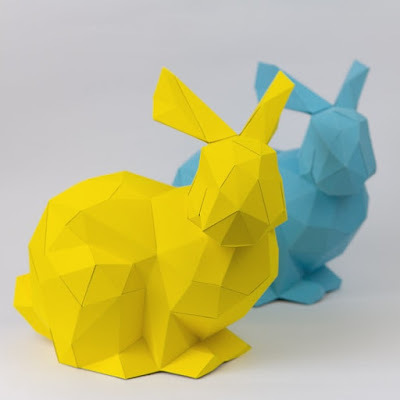 This free polygonal bunny paper model was created specifically to be used as an Easter decoration. Anastasia Baron, the creator of the bunny, likens his pose to the famous hare drawing by Albrecht-Dürer. The finished model is hollow underneath and may be used as a hiding place for eggs and candy. The template for the bunny may be downloaded by clicking the black circle near the bottom of the page here.